Pizza screens produce evenly baked crust by allowing air to circulate beneath the crust. 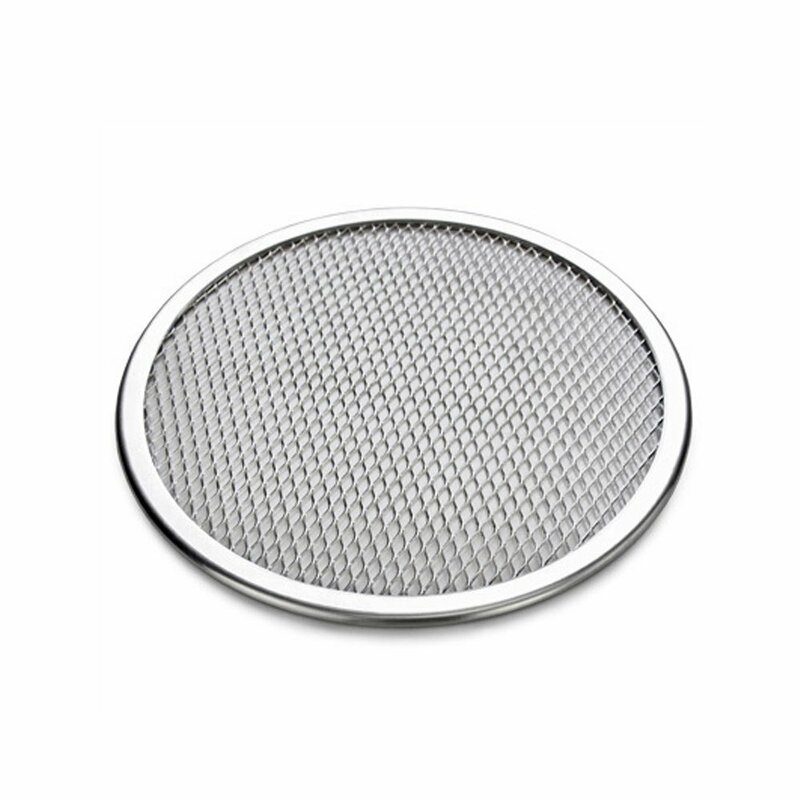 Also try using these screens when toasting sandwiches for crispy, pleasing, bread! Along with adding to product life, the seamless design on this aluminum pizza screen makes handling and cleaning safer by eliminating rough or bent edges. Aluminum screen, flat mesh. The screen offers the advantage of protecting the dough from the radiating oven surface during cooking and avoids crispiness in case of combined cooking, that is, when the pizza is cooked in two times. Quality aluminum alloy plate provide pizza tray with good heat-conducting, light and durable property. Anodization surface, clean ,health, non-toxic, baking effect is good, high work efficiency. Clear modeling makes the finished product very beautiful. Oil or oiled paper is needed between pizza and screens. The product may have acquired small scratches during the manufacturing process. These won't affect the product quality or performance.